Waterfall Info: From the bottom, this is the third waterfall on McClure Creek. It's actually located on the Left Fork of McClure Creek in the headwaters, which some maps show as an unnamed tributary of McClure Creek. 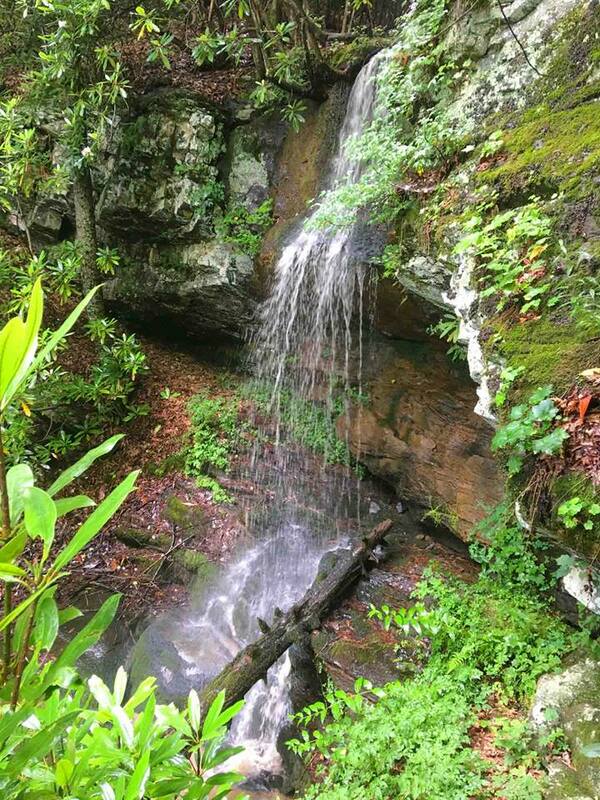 Access Info: This waterfall is nearly roadside along Tray Mountain Road (FS 79). A short scramble is required to reach the base.